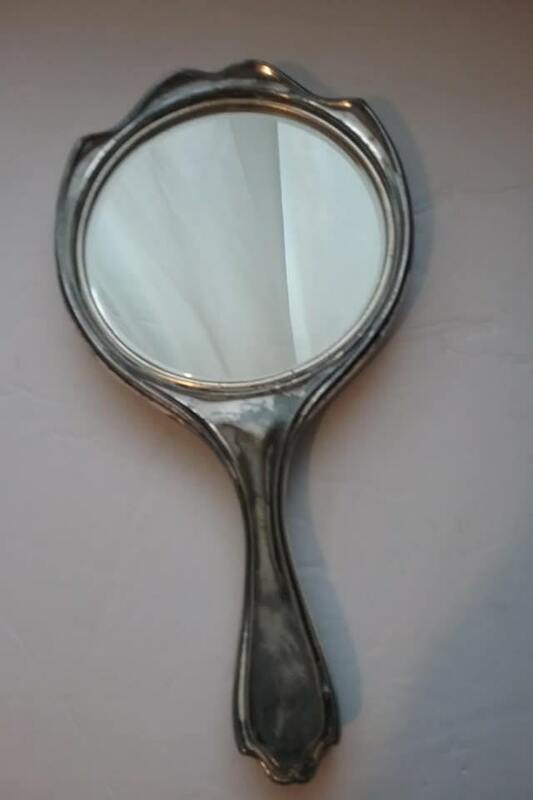 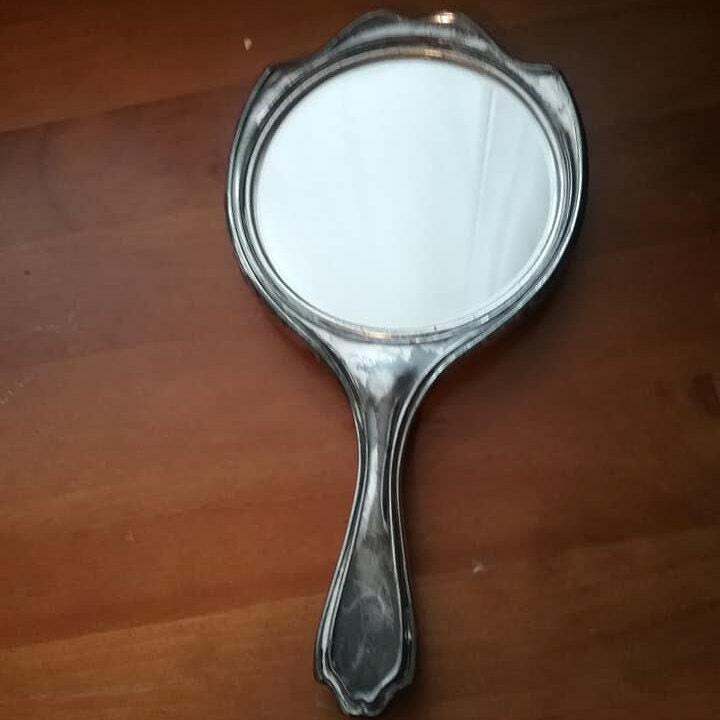 Vintage silver plated hand mirror. 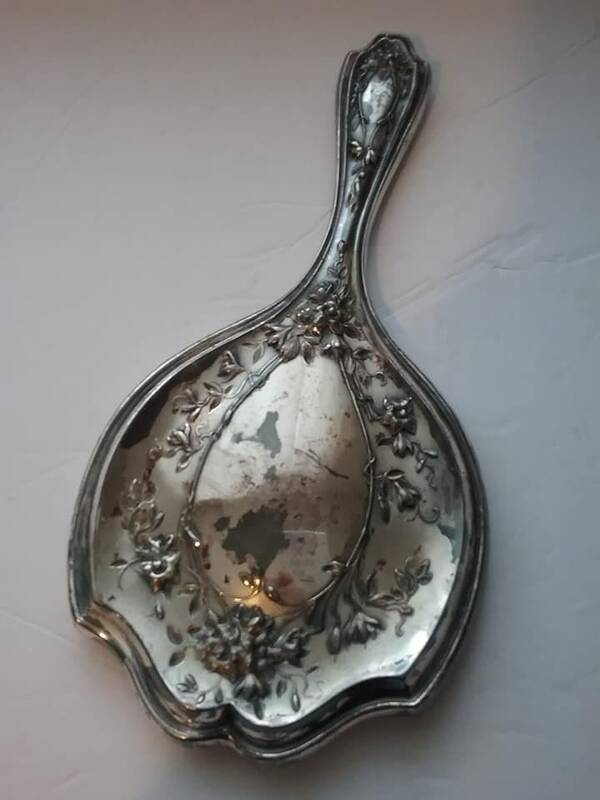 Very ornate, and in very good vintage condition. 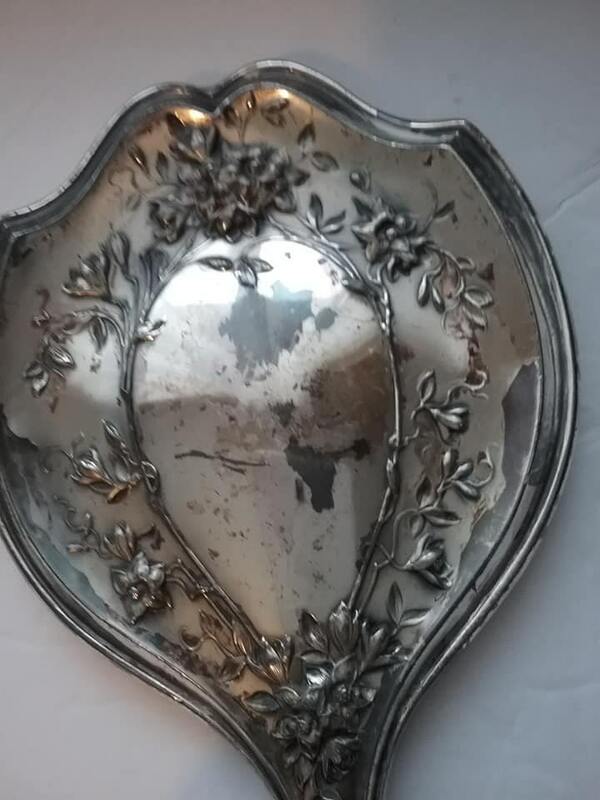 Could use a good polishing. 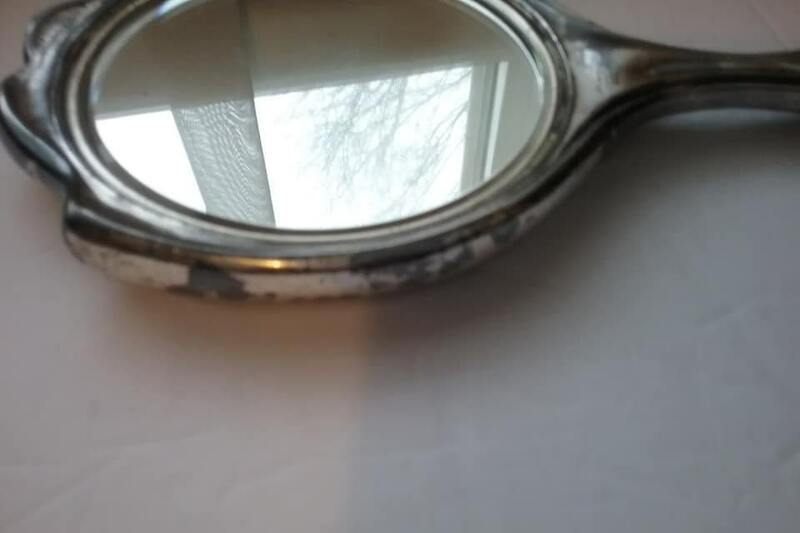 Beveled glass,it measures 10.5" length and diameter 5.5". 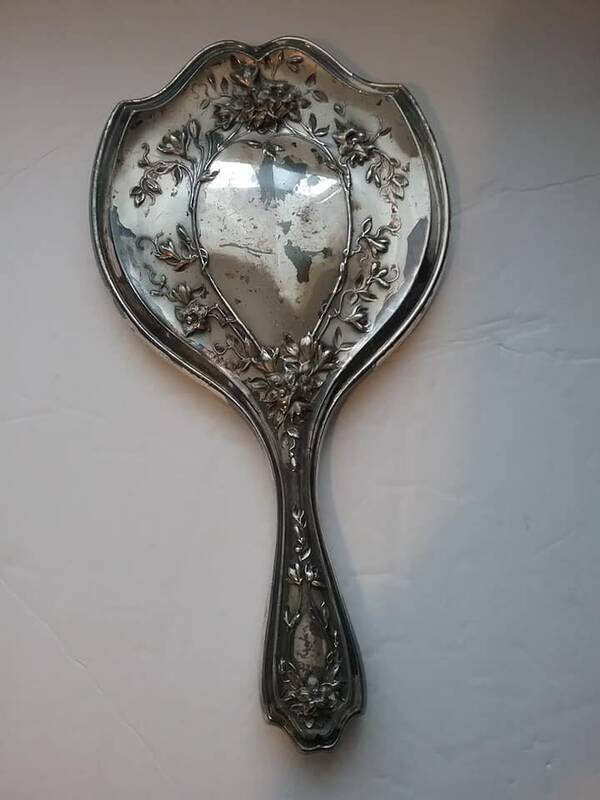 Vintage beauty for your boudoir.